Volunteers’ Week is here - the annual week of recognising and celebrating the selfless time given by volunteers. As a Team London Ambassador, I am now in my second year as a Volunteer Manager, which involves being the friendly face of London while managing a changing team of volunteers. 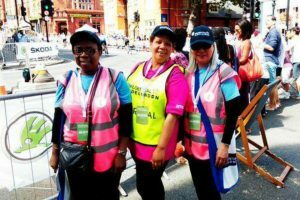 The best part of my role has been meeting an amazing array of volunteers, many on the verge of retirement, filled with enthusiasm and up for the challenge of meeting and greeting London’s millions of visitors. In the new age of later retirement, people want to remain connected, enjoy good wellbeing and better health outcomes and I, like millions of others, am trying to make a little bit of difference by volunteering. By getting involved as a Team London Ambassador and helping with cultural and sporting events across the capital, it’s my chance to make London a better and healthier place to live. I’m proud to draw on my own experiences volunteering in my role as Head of Health, Ageing and Care in the Social Action Team, based in the Cabinet Office. Research tells us that there are millions of adults who are not currently volunteering, but who say that if they were asked, they would consider volunteering in health and social care. My work in the Cabinet Office is partly about supporting the ‘ask’ – encouraging public services to think about new and better ways to harness volunteer power in health and social care harness volunteer power in health and social care. However, I also think of our work as having the potential energy of a wave that can lift the many boats that are already out there on the water. These are the ‘boats’ that have already done so much to create volunteering opportunities that improve health outcomes, support better wellbeing and help connect older people. We can be proud that there is already so much done and being done to harness the power of the millions of people who are already involved in social action in all its forms. In April this year, we designed and delivered a national conversation on the role of social action in health, ageing and care for 70 people - with a turnout of over 170 people. And this event would not have been successfully delivered without volunteers: from Cabinet Office volunteer greeters, to volunteer facilitators, drawn from charities, public bodies and the NHS, who gave up their day to support the exchange of evidence and ideas. 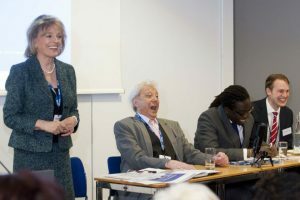 Not to mention the amazing contributions made by Dame Esther Rantzen (Childline/Silverline), Lionel Blair, Lord Victor Adebowale (NHS England) and Helen Bevan (NHS New Horizons) to keep conversations buzzing – all giving their time freely, because they believe we need to help create better opportunities to mobilise and harness the untapped contribution of older people. And not forgetting the Dementia Friends volunteers who delivered their award-winning training to over 50 people. All of it was achieved by harnessing the commitment and expertise of each person that gave up their time. During Volunteers’ Week 2016, I feel even more excited that as a lifelong volunteer myself, we will be able to support the development of even more opportunities for older people to get involved in volunteering. What better time for people, who like me are over 50, to think about using some of our time to help others who need our skills, ideas and support. I hope that you will get involved.